To define grace is to attempt to encapsulate all of Christianity in a short phrase. The purpose of this article is not only to give you a definition of grace, but to unravel each word in the definition so that by the end of reading this piece, you will have a solid foundational understanding of what the grace of God is. A revelation of grace will certainly change your entire life forever as a Christian. Whatever definition you settle on, do not be content with the head knowledge. Seek to catch the revelation and move the definition from your head to your heart. The Hebrew and Greek words for grace add value to our understanding of God’s grace. However, remember the limitation that etymology is not always everything. An understanding of these root words is not enough in itself to give us a better picture of God’s grace. We will begin with the Greek word charis. Charis is the Greek word used for grace in the New Testament. I will not touch on related root words such as charitoo or chara. The Greek-English Lexicon of the New Testament and other Early Christian Literature (BDAG)(1) has great insight to offer us regarding the root word charis. 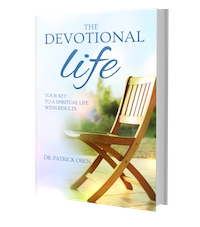 You will be intrigued with the dissection of this root word in this reference lexicon which offer remarkable insight into the meaning of God’s grace. I will list some key uses and highlight the insight they give us for our understanding of grace. Charis is that which one grants to another, the action of one who volunteers to do something not otherwise obligatory. This is charis from God’s perspective. It is an act of God, that grants us favor that He is not obliged to give. Charis is non-obligatory to God, and unmerited to us! Charis is that which one experiences from another. This is charis from our human perspective. It is our experience of God’s favor and goodness. Grace is not only an act of God, but it has a tangible effect on us which changes our experience. Grace is our experience of God’s unmerited favor. When we receive grace, there will be tangible proofs in our lives. The same is true about the understanding of grace. After becoming a believer by grace, a deeper revelation of the meaning of God’s grace will result in tangible changes in our perspective of God and how we relate to Him and others around us. Again, BDAG gives us a remarkable explanation of the different ways the word charis is used when applied to God or Christ. It distinguishes five distinct uses which you should seek to understand. Charis as used for possession of divine favor by God, as the Source of blessings for the believer. The favor that has been bestowed upon us is God’s. He is the possessor of the favor. Charis is the store of favor that is dispensed to the believer. God pours out favor upon us from His treasure store. The Scripture says we have received from His fullness (John 1:16). Charis is the favored status: This describes the believer’s position before God, standing in His favor that results from the abundance of grace poured upon us. We are standing before God right now in Christ on a platform of abundant grace. It is a place where humanity experiences the fullness of God’s favor, kindness, and goodness, undeserved and without merit. Charis is the gracious deed wrought by God in Christ. Again, grace is not just a disposition or attitude of favor and kindness as mentioned above. It is a tangible deed. When we talk about grace, it is not just wishful thinking that God has a gracious attitude or feels and thinks well about us. Grace is what God has done to extend His kindness to us, so that we can enjoy it to the fullest. The Son of God on the cross was grace in action. It is what God did, so that we can enjoy His goodness to the fullest. When God heals your body, through Christ’s work, that act of healing is grace. Charis is the gracious work that grows more and more. Have you watched God progressively transform a man’s life from ugly and messy to beautiful? Grace is a work of God that becomes brighter and brighter until the perfect day. Charis describes effects produced by divine beneficence which go beyond those associated with a specific Christian’s status. Did you notice the phrase “beyond those associated with a specific Christian status”? Grace did not end at the salvation experience. It did not cease to function after you become saved. It continues to add one blessing upon another. This is so important because many of us fail to see the benefits of God’s grace beyond the forgiveness of our sins or the fact that God is not judging or punishing us now for our sins. Grace continues to decorate our lives with things that result in beauty, joy, and praise. Grace bestows spiritual gifts and made Apostles, for instance, from those who were murderers. Grace fills the heart with joy unspeakable and full of glory. Grace will touch your finances, your health, family, etc. Grace is the visible proof in your life that you have received God’s favor, for no one ever receives His favor and lacks evidence for it. In fact, these effects are the proofs that you have received or understood grace. Do you remember from above that I mentioned grace has tangible effects on the recipient? It is not possible to receive grace and remain the same. It will have a visible effect in your life. Charis is used to describe our response to God in thanksgiving and gratitude for what He has done for us. Once grace is revealed and received, an attitude of persistent thankfulness is spontaneous in our hearts. In fact, thanksgiving, joy, and praise characterize every recipient of God’s grace. Why? Grace will impact your life, meet your deepest needs, and abundantly furnish you with God’s goodness that, without fail, will leave your mouth full of unforced gratitude. There is something about receiving favor or kindness you do not deserve. It is so different from receiving what you desire or worked for. Nobody ever shows real gratitude for their hard-earned dollars. They are your rights and you demand them. Grace is not our right. It does for us what we can never dream of achieving with all our spiritual and natural abilities. Unmerited favor triggers struggle-free gratitude and praise. I remember what happened to my life personally as the Lord began to unravel the mysteries of His grace to me. My prayer time gradually shifted from crying and begging for my needs to be met to praise, thanksgiving, and worship. Charis is used to describe our response to divine favor. The Theological Dictionary of the New Testatment (2) gives us an excellent statement that sums up the meaning of grace. It states that charis, “is what delights”! God’s grace in its totality, in all its manifestation, is indeed that which delights, and affords sweetness to man’s life. Humanity has been bitterly bearing the consequences and miseries of sin, and Christ did not come to remind us that we are in the pit of sin. He came to afford delight and joy. Grace is the antidote of the plight of humanity in all its forms. Grace has man covered, totally, and has completely and superfluously paid the full prize of sin. Satan and sin left man in a horrible mess. Grace did not only restore man to his original position, but lifted man higher than where he was first placed in the garden of Eden. Grace has brought delight to our hearts. Did you catch the insights from charis above? If so, let’s move on to the Hebrew root word! The meaning of the Hebrew root words as it applies to the understanding of grace is not as straightforward as the Greek words above. A notable difference between the Greek and the Hebrew language is worth mentioning here. The ancient Hebrews used concrete means to communicate their thoughts and ideas (that is things they could relate with their senses). For example, rather than the abstract notion of character, they will use the word fruit. This is different from the thinking pattern of the Greeks. How does that apply to us? It means a concept like grace, for example, will be communicated using concrete objects, events, or activities in the original Hebrew. That means they will use natural, everyday things that we can easily relate with to describe to us abstract concepts such as grace. I will restrict the discussion solely on the word chen here. The reader is encouraged to read more about the related Hebrew root words for grace such as chanan. Also, I will seek to identity the concrete objects or ideas being used to describe the idea of God’s grace as conceived by the ancient Hebrews. The Hebrew and Aramaic Leixcon of the Old Testament (HALOT) (3) list three uses of the word chen, two of which are useful for our current discussion. If we try to stick with the notion of concrete thinking of the ancient Hebrews, we might therefore ask what concrete object or activity did they use to convey this idea? HALOT gives us a concrete example that conveys their thinking. It is that of a beautiful woman! Beauty is a pleasant and agreeable quality that everyone likes to see. It naturally attracts favor. Chen describes the beautiful qualities that are pleasant to behold. How can this help us understand our notion of grace? The grace of God certainly adorns humanity with pleasant, agreeable qualities for the entire universe to behold. In fact, the Bible says that even angels are itching to see the effects of grace as demonstrated in the lives of believers! We have been beautified by grace, to the extent that angels desire to see it! Again, the ancient Hebrews will use a concrete object to communicate this idea. The concrete idea that is used in the Scripture to describe a natural occurrence that communicates the idea of favor is the disposition a husband has for his wife! This is recorded in Deut. 24:1. I want you to think of how open a man’s heart and hands are to the wife of his dreams! A man will die for the woman he loves. And indeed, a Man named Jesus died for His Bride! A husband’s pleasure and delight with his wife prompts acts of kindness that certainly shower the wife with all good things. The words “beauty” and “favor” capture the heart of what chen has to contribute to our understanding of God’s grace. As mentioned above, there are other in-depth concepts that may be gleaned from going deeper into related root words which I will not get into here. Some of them deal more with linguistic issues related to the original Hebrew words, rather than add substantially to our understanding of the grace that is in Christ. Many of us will define grace as unmerited favor. This is a very simple, yet profound, definition. Grace is truly God’s unmerited favor to man. I love this definition and wholeheartedly agree with it. However, there are certainly limitations that I want you to be aware of. Defining grace as unmerited favor is so simple that it is so easy for many believers to dismiss this definition just because of its simplicity. In fact, many of us have heard this definition so many times that it really does not minister to us any longer. The truth is that I have noticed from my experience and from watching other believers that many of us know this definition, but really do not have a revelation of those two words it contains. Definitions are beautiful, but it is your practical understanding, the revelation of the concept, that will change your life! For example, when Satan attacks us, he does not care if we know the definition of faith as “substance of things hoped for”. What will shield you is not the definition you have, but what the definition has in you! The things of the Spirit cannot be grasped by the operations of our minds only. You may read this post and at the end not still “catch” the insight from the Word I am seeking to communicate to you. Revelation is spiritual treasure that does not lie on the surface. If you do not get it, go deeper. It may require you to study the passage again and again. You may have to spend time just praying and fellowshipping with the Spirit, asking Him to open your understanding. When God’s Word hits your heart, you will know it! Do not be content to define grace. Let the meaning of grace redefine everything inside of you! The most important limitation I have realized with this definition is not what it said, but what it has omitted. The most important word regarding our understanding of God’s grace is missing in those two words. Let me use the idea of faith to explain to you what I mean. Our faith in Christ is not merely believing in God. Israel also had to believe in God, but the faith they had is not the same faith we have. The Scriptures use the personal pronoun “our” to describe the specific nature of our faith in Christ. It is not just faith. It is faith in God through Jesus Christ. The faith of Christianity is believing in God by believing in Jesus. We believe He is the Son of God and all that He did for us. There is no Christian faith without Jesus, otherwise it is general faith. So our faith is not just believing in God the Creator. It is believing in God by believing His Son. Take the concept of the Son of God away and there is no Christian faith. Do you get the idea? Can you see where I am going? We define grace as unmerited favor. It is a great definition, but lacks the most important word. Tthe beauties of grace are not locked up in the word “unmerited” or “favor”. They are locked up in the Word “Jesus” or “Christ”. The secret to unlocking the wonders of grace is found in the revelation of Christ. How should we define grace? If we should add the words “in Christ” to our well-beloved definition of grace, we will have a solid definition of grace that is near complete if not entirely complete. We can, therefore, define grace as “unmerited favor in Christ”. It remains simple but powerful. I see Christians looking for definitions of grace with some “strange revelation” that will cause their ears to tingle or their hearts to erupt within their chests. If you do this, you are simply opening yourself up to potential doctrinal errors. The reason many are looking for another definition is they feel what they know is not enough. Well, as I mentioned above, if many of them fully understood the meaning of the words in the definition they knew, they will discover that unmerited favor is a solid definition, and with the addition of “in Christ”, we have one close to being complete. In Christ: of course, is looking at Jesus. The three stakeholders of grace are the Father, Jesus, and man. I will briefly look at each of these three components to enable you define grace with greater understanding. I will start with “in Christ”, for obvious reasons noted above! Ephesians 1:6 gives us one of the most beautiful passages in Scripture that captures the pearls in the words “in Christ”. The Apostle Paul uses the words “in the Beloved” for “in Christ”. He chooses to call Christ here the Beloved. Certainly not by chance. The verse shows us that grace has been granted to us in the Beloved. Do you remember what I wrote above, that grace is in Jesus? The mystery of grace lies in the fact that God has given to fallen humanity the status of His Son, His Beloved and the Son of His delight! Can you think for a moment how much the Father loves His Son Jesus? Grace has made you like Jesus is before the Father. Grace is God calling fallen and broken humanity into the status, joys, and wonders of His dear Son. God has multiplied the Son of His love to become many sons. Let me help you understand this by attempting to dramatize things a little bit. Before Jesus was a Man, He had always been the Living Word. Proverbs 8:30 gives us a remarkable description of the relationship between Jesus and the Father during creation. I want to draw your attention to the fact that Jesus (personified here as wisdom) was the delight of the Father. Jesus, before the incarnation, was the delight of the Father. When the Father sees Him, in the mystery of the Trinity, He is pleased, delighted, and overjoyed! We might not understand the mysteries behind all of this on this side of eternity, but one day we will. Did the Father so love Jesus as a Man or was well pleased with Him because of what He had done? Certainly not. It was what Jesus was, not what He had done that was the joy and pleasure of the Father. When He went to the cross, something beyond our comprehension happened. He took our place, our status as sinners. God saw Jesus, His Beloved, as He saw you and me while in all of our sin. What a disgust that would have been. The Father turned His face from His Son for the first and only time in all eternity. Jesus took our place. But that was not all. In fact, this is the meat of the matter. He took our place as sinners, and gave us His place as the beloved of God, sons of His delight in whom He is well pleased! Grace is fallen humanity in the shoes of the Beloved of the Father. He is the Son of God, we are the sons of God. He is God in the flesh. We are partakers of the divine nature. He is the very righteousness of God. We are the righteousness of God in Christ. He is the delight of the Father. We are like a sweet smelling incense before God (2 Cor. 2:15). The list continues. Do you get the idea? We are born into Christ, being the delight and beloved of the Father. Grace is the koinonia (partaking) of the Son of God (1 Cor. 1:9). Let me use another example to help you further. Imagine there is a billionaire in town who has one son and this child is the legal owner by inheritance of all that his father has. Now imagine this billionaire goes out one day and sees a street child and has compassion on this poor kid. He decides to show kindnessby bringing this child to his multi-million dollar home. Now imagine this billion gives this street child a duplex in his castle, filled with all the beautiful things he can ever dream of and deposits millions of dollars into his account. Would you consider this kindness to this street child? Absolutely yes! This street child’s life is forever changed. This is certainly kindness that will deserve presidential recognition. Yet, this is not the kindness of grace. It is even better. God did not show us kindness like this billionaire just did. Let me now give you an illustration of God’s kindness in Christ lavished upon us. You will agree that despite everything that this street child has received, the son of the house certainly still has a million times more. The two of them are not the same. The kid of the house still has a status in the house that this street child does not have. The father still knows that his real son is truly his biological son, and the way he sees this son will be somewhat different. Now imagine a hypothetical example, where the billionaire father comes home, and does not divide what he has to give some of it to the street child. Rather than giving this child goodies here and there, he decides to give this street kid the full status of his own biological son. And rather than sharing what he has between the two of them, he gives both of them full rights to everything. That means the totality of what he owns belongs fully to both of them, as both of them are sons in the house. That means there is nothing the biological child has that the street child does not. They are joint-heirs. They are sharing fully, in all things. This is the meaning of sharing conveyed by the Greek word koinonia. This is grace. Humanity has been brought into God’s House, given the full status of the Son of the House! Many times, we think of Grace as if God has given to us many wonderful blessings from heaven freely. Though this is true, it is nothing close to the reality. The truth is that God did not give us the best things of heaven by grace. He gave us just one gift. He gave us His Son. Whoever has the Son has all that there is in heaven and earth! Let me point out a remarkable truth here that will further help us buttress our understanding of God’s grace. It is the concept of adoption. Grace has brought us into the place of the Son of God. That implies the Father has essentially adopted us into His family. Easy to understand, right? But how does God adopt children? The Romans had a strong culture of adoption from which the New Testament writers draw illustrations from. I do not want to get into the details of this here, but it is worth reading for yourself. Let me use our contemporary adoption procedures. How do we adopt children? We make a personal decision, and then follow the legal procedures. The adoptive parents have both the moral and legal responsibilities to treat the adopted child as their own. You cannot tell an adopted child that you are not their father or mother. This is just not acceptable. The power behind human adoption is the law. The law, the legal and moral aspects, demand that you treat the child as yours. We are limited in the fact that despite how much love we might have for the adopted child, it is not possible to actually make them our biological child. There is something in the biological child that came out of the parents. They have their DNA inside the child. God is the Creator and does not adopt as humanity does! The Holy Spirit looks at you in your spirit and says, “wow, you are truly God’s child!” Why? Because what makes Jesus the Son of God is what inside of you too. God gave to you exactly what is in His Son. You are indeed a child of God! If you can understand the words above “in Christ” with the illustrations used, the rest of the components of our definition will come easily. You will see where the favor comes in. The fact that God will do what He did above to sinful men and women who desire His judgment will baffle your mind. At least two things are perplexing about God’s grace to us. The favor shown by His goodness is extravagant, abundant, and beyond our wildest imagination. It does not end there, however. In fact, the second part of grace, which really resounds it’s amazing nature, comes from looking at those to whom this extravagant favor has been shown – fallen, sinful men who are vile, spiritually wretched, undeserving, and even offensive. It is perplexing how the greatest kindness was extended to the vilest of sinners. Sin left man in both spiritual and physical ruin. If you doubt it, just look around you. It is one thing not to deserve something, but it is another altogether when you do not have what it takes to get what you want or need. Man was lost in sin, ravaged by Satan and darkness, and living in anguish of soul while moving constantly to eternal condemnation in hell, lost from God for all eternity. Our very sinful state did not merit kindness, but judgment. Not only that, but we were completely helpless and not able to free ourselves from the entanglements sin and Satan has locked us in. We will never have the ability required to save ourselves. Men and women who do not have it together are the very purpose of grace. Grace delights in taking the vilest of sinners and changing them into the most glorious of saints. It delights in taking those broken and humiliated by their pasts, kept in binding chains and making them into the very beauty of God. Grace did not come for those who have it together. No one has it all figured out. That’s why we need grace. The term charis in the New Testament is used interchangeably for “grace” and “favor.” Favor is the substance of grace, and grace is God showering His favor upon us. It is quite easy to spiritualize divine favor and make it purely a doctrine while detaching every practical application from it. Favor is not a doctrine to learn. It is a tangible act of kindness by God and our tangible experience of His goodness as a result. Divine favor will remain an abstract spiritual concept or doctrine to recite until you come to the place that that favor is not merely some favorable disposition of God but a tangible experience of goodness and kindness that started at salvation and continues to include every part of your life. Man has both spiritual and physical needs. The sinner is miserably and hopelessly lost without God. Man’s life without God is like a desert land scourged with heat and longing for rain. Our satisfaction comes from the goodness of God. The favor of God meets the deepest needs and satisfies the deep-seated desire of our hearts. Divine favor is living in a place of unrestrained divine goodness. Imagine what your life would be like if God’s unrestrained kindness was upon you. You are in that place now. It is the platform of grace! It is a place called “open heavens.” It is a place that is Eden again on earth, except that it is far superior! Divine favor is God Himself taking the steps to meet our needs and satisfy our deepest desires, both spiritually and physically. This is so important to understanding what grace is. Favor is God doing the work. He does what it takes to shower His goodness upon us. It is the Lord’s doing and it is marvelous in our eyes! It is not our doing, trying to make things work for us. Grace meets one of the deepest needs of broken humanity – unconditional love. He does not stop at acceptance. He goes even further to extending kindness to us by doing for us what we could not do for ourselves – bringing us freedom from sin, death, Satan, and all that comes with these. And still, He does not end there. The Bible says His favor to us is grace upon grace. (Jn 1:16) Beyond bringing us freedom, He brought us into His very glory to enjoy the splendor of His life. The things described above are not things that God has promised to do. He has already done them. He has already brought us into this favor through the Person and Work of Jesus Christ. Favor is free to us but not to Him. The price of our favor was the Son of God dying through the most agonizing death known to humanity. It is free to you but not to Him. This is the grace that is in Christ. It is favor brought to us by the painful sacrifice of Jesus Christ. We are already bestowed with this favor. This favor bestowed on us does not go away after we are saved. It abides in us. Favor pulls goodness from the things and people around us. Ever seen someone favored? People just favor him or her! They extend goodness and kindness to that individual. God’s favor in us does not remain in the spirit but shows up as favor with God and men in our daily walk. Arndt, W., Danker, F. W., Bauer, W., & Gingrich, F. W. (2000). A Greek-English lexicon of the New Testament and other early Christian literature (3rd ed., p. 1079). Chicago: University of Chicago Press. Conzelmann, H., & Zimmerli, W. (1964–). χαίρω, χαρά, συγχαίρω, χάρις, χαρίζομαι, χαριτόω, ἀχάριστος, χάρισμα, εὐχαριστέω, εὐχαριστία, εὐχάριστος. G. Kittel, G. W. Bromiley, & G. Friedrich (Eds. ), Theological dictionary of the New Testament (electronic ed., Vol. 9, pp. 359–415). Grand Rapids, MI: Eerdmans. Mathews, J. G. (2014). Blessing. D. Mangum, D. R. Brown, R. Klippenstein, & R. Hurst (Eds. ), Lexham Theological Wordbook. Bellingham, WA: Lexham Press. Strong, J. (2009). A Concise Dictionary of the Words in the Greek Testament and The Hebrew Bible (Vol. 2, p. 41). Bellingham, WA: Logos Bible Software.